Oomph: A Little Super Goes a Long Way is here! 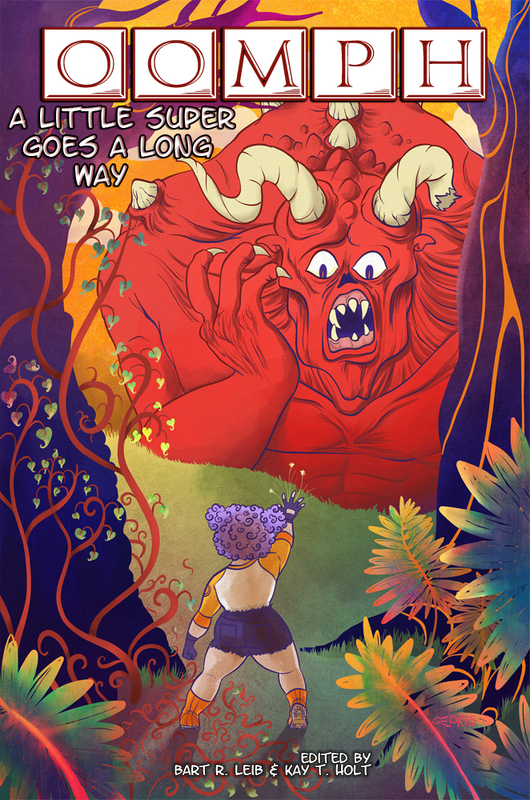 Crossed Genres is thrilled to release our new anthology, Oomph: A Little Super Goes a Long Way! It’s easy to save the day when you’re invulnerable, can fly, or can punch through steel. But what if you’re just… really calloused? Or can hover for three seconds? Or can only punch through things made of aluminum? Oomph: A Little Super Goes a Long Way explores what it takes to be a superhero with just a little bit of power, where heroes and heroines use their small gifts to great advantage. Sometimes you don’t need a big lever to move the world. Please visit the Oomph website for more info and where to purchase. If you’re a reviewer interested in reviewing Oomph, please email publicity @ crossedgenres . com.